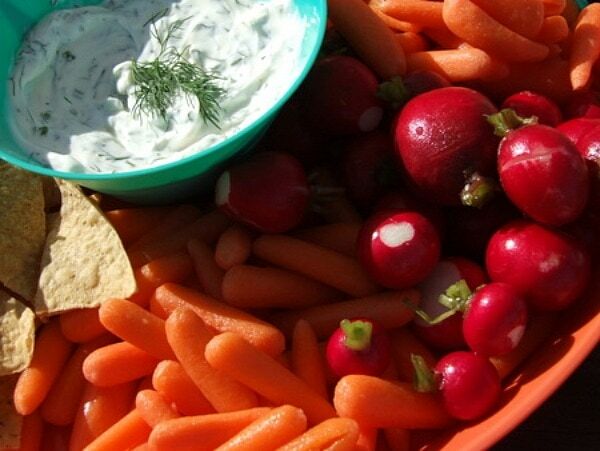 I served this dip in the summertime at a beach barbecue with a whole bunch of fresh and crispy vegetables. 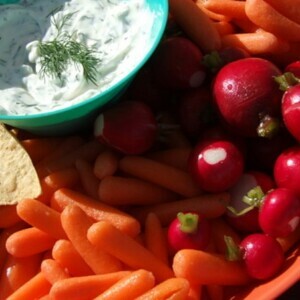 It's a nice, lighter-style dip (especially if you use low fat sour cream). 1. Mix first four ingredients in a small bowl. Season to taste with salt and pepper. Let dip stand for 30 minutes at room temperature, or cover and chill until ready to serve. 2. Serve with radishes and carrots or other fresh vegetables. *Using fresh herbs in this recipe is important. It just won't be the same if you use dried herbs. *Make ahead: Can be made one day ahead. Cover and chill overnight.